Liconic StoreX ICSA STB500 Microplate Incubator Carousel Stacker Climate Control . New Life Scientific, Inc. The STB500-ICSA stand alone incubator can be used on the floor (versus bench top models). This model is not listed on the manufacturer's site and appears to be the predecessor to the STX500. 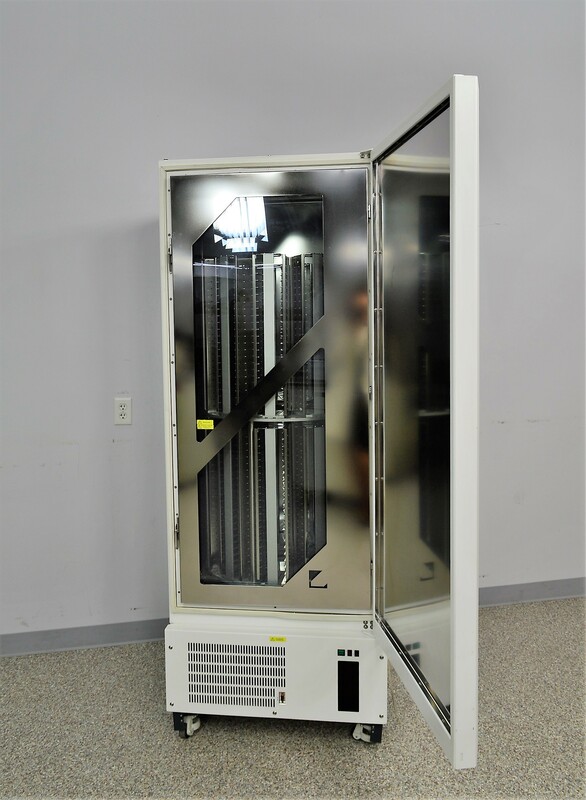 The incubator is in good cosmetic condition and includes the double tier carousel and cabling. The incubator operates within a temperature range of 30-50°C, monitoring changes accurately within +/- 0.2°C. The technician tested the heaters and motors, confirming that they respond. The software required to control this instrument was not acquired and the manufacturer should be contacted about availability and pricing. This instrument appears to be analogous with the STX500 ICSA and we have used those specifications in our description.